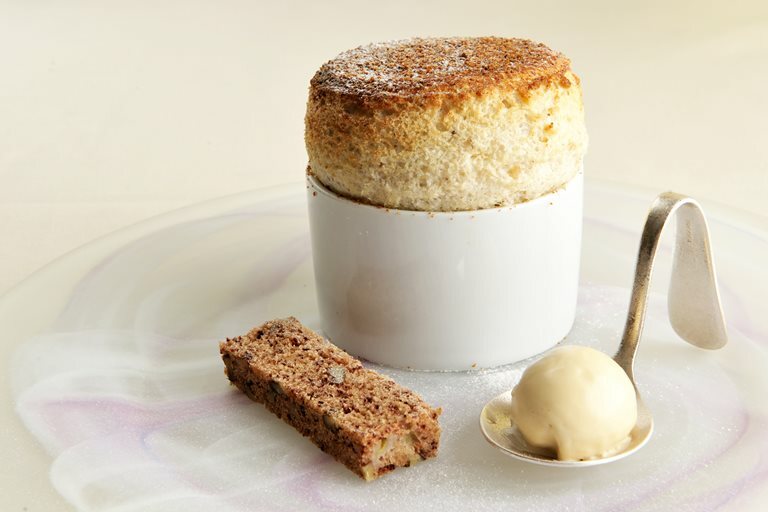 This banana bread soufflé recipe from James Sommerin, is a great spin on traditional home-baked banana bread. It uses the moist cake in a soufflé, which is served alongside ice cream flavoured with condensed milk that has been boiled down to create 'dulce de leche' toffee. Welshman James Sommerin got his start in the kitchen as a child, baking under his mother and grandmother’s tutelage.